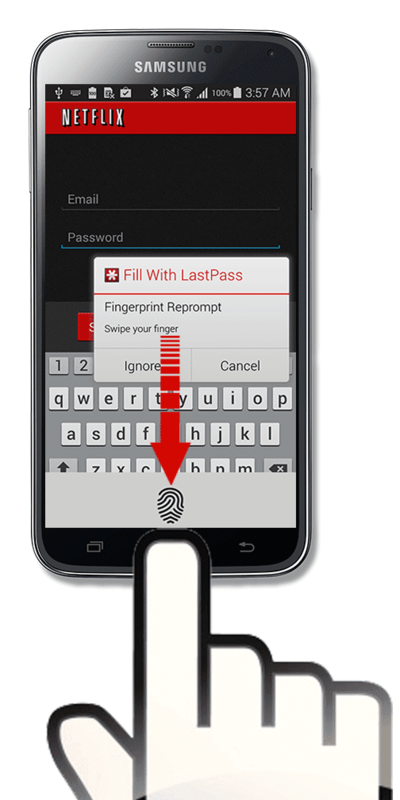 LastPass users now have the ability to access the Android app securely and quickly with the swipe of a finger! The updated version of LastPass’ Android app leverages the Galaxy S5’s fingerprint sensor for a faster, more secure way to login to accounts. After initially logging into LastPass, users will be able to access stored password information with a swipe of their finger. Instead of typing in their master password each time, any time a user is prompted for their password or PIN, they will have the option to quickly unlock secure information using only their fingerprint. The LastPass Android app is part of the LastPass Premium service and the update is already available for download on the Google Play Store.